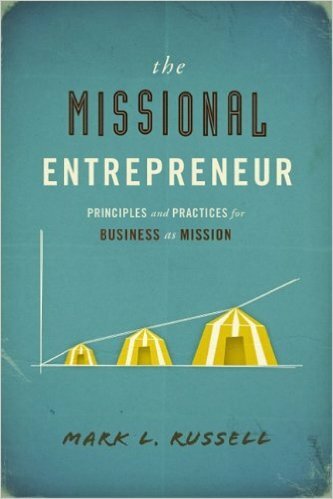 This is the first excerpt from The Missional Entrepreneur by Mark Russell. Abundance: God gave Adam and Eve access to abundant resources (Genesis 1:28–29) for their well-being. With the Fall, these resources became scarce (Genesis 3:17). Relationships: God created Eve since it was not good for Adam to be alone. We were created for fruitful relationships. With the Fall, these relationships became contentious (Genesis 3:16). Creation: God created a world that was “very good” (Genesis 1:31). With the Fall, humankind’s relationship with the rest of creation became antagonistic (Genesis 3:17–19). Spiritual: Adam and Eve were created to be in relationship with God. With the Fall, this relationship was fractured (Genesis 3:23–24). These four areas of brokenness refer to, in more contemporary language, four spheres of life: economic (the provision of goods and services to humankind), social (relationship and community with one another), environmental (creation and our relationship to it), and spiritual (our unique relationship with the triune God). All of these areas are broken. God is on a mission to reconcile all four realms of brokenness. God’s mission of reconciliation has come to us through Jesus Christ: “For God was pleased to have all his fullness dwell in [Christ], and through [Christ] to reconcile to himself all things, whether things on earth or things in heaven, by making peace through his blood, shed on the cross” (Colossians 1:19–20). Christ humbly came to earth and called us into God’s mission for the reconciliation of all things, to bring forth the kingdom of God, and to ensure that God’s will is “done on earth as it is in heaven.” This is a big mission and followers of Christ should be humbled that we have the privilege of participating in it. Generally, when we talk about God’s mission, there is a focus on the aforementioned spiritual aspect of the world’s brokenness, namely our fractured relationship with God Himself. Churches everywhere rightly emphasize that only Christ can restore this relationship. May we never dismiss or underemphasize this foundational truth for life and eternity. However, in many places, there is no direct talk about healing the other three areas of brokenness or any acknowledgement that this necessary healing is also part of the mission to which God has called us. And even when there is that recognition, there is often an absence of any tangible, real-life solution or response. Thankfully, there is change in the air and much of it is good. Christians everywhere are waking up to the tremendous oppression that comes through poverty, hunger, lack of clean water, preventable diseases, absence of education, environmental degradation, and other social problems that are simply reflections of these aforementioned areas of brokenness. If you are interested in reading the full text, please look for the book: The Missional Entrepreneur by Mark Russell.